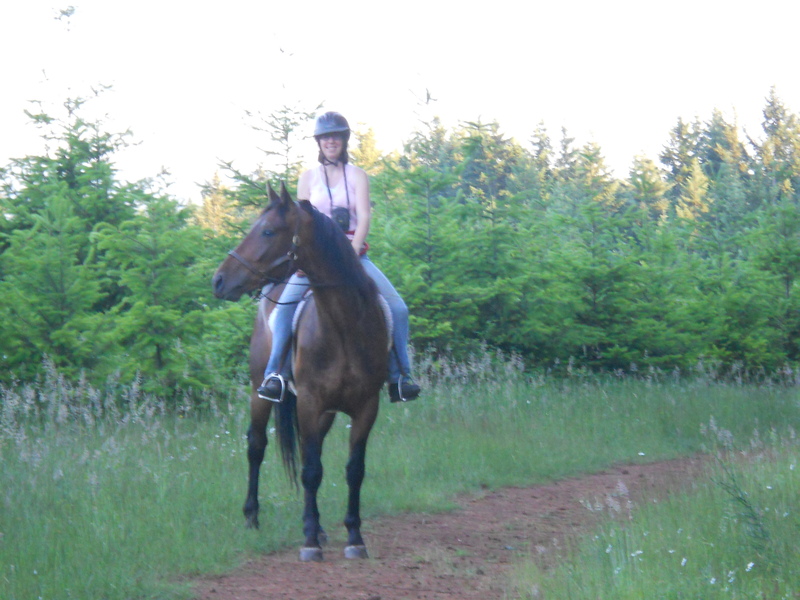 Yesterday evening I took Chance for his first trail ride! He was awesome, just as good as he could be. 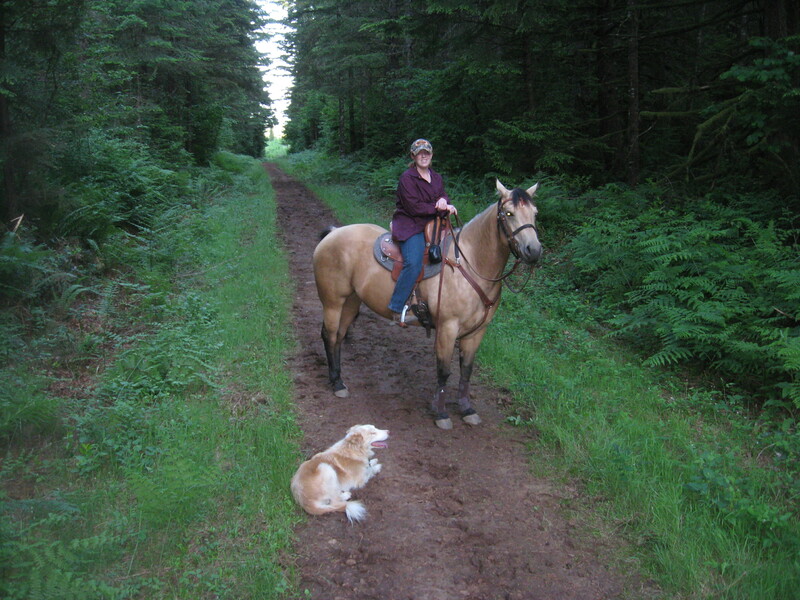 I also brought my Billy dog along for his first trail ride. Chance was so relaxed! 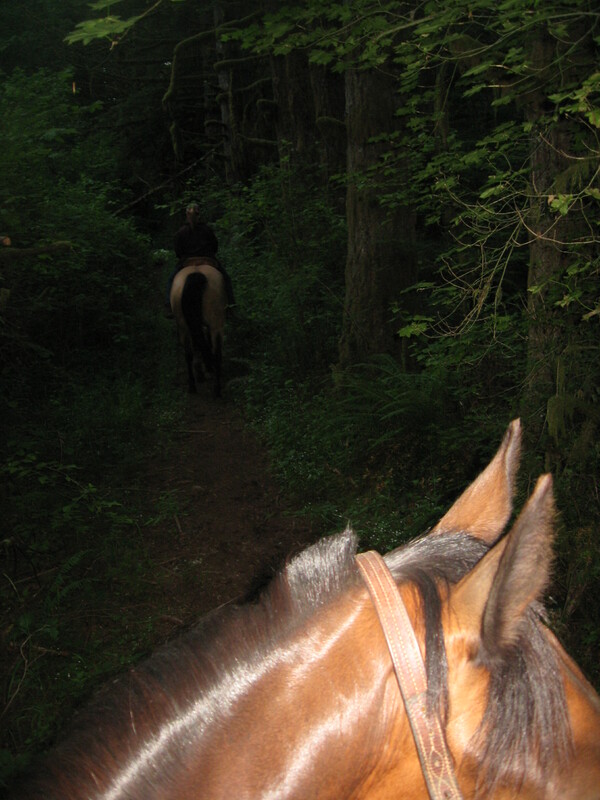 He really did a wonderful job, and we followed, led, crossed some mud puddles (creek was dried up already so he got off the hook on that one), went through some bright open areas and tight squeeze areas where I had to lay right down on his neck and slippery mud areas and hard gravel areas. He even stopped and let me snap pictures several times during the ride. Some are blurry, but some are pretty good. He just did everything perfectly, not a single spook or bit of bad behavior. 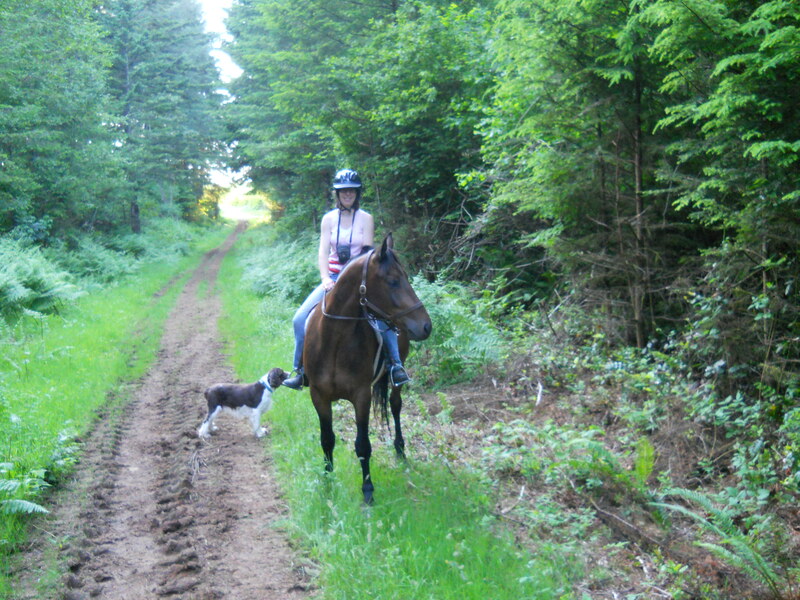 Billy had fun after awhile, too – he loves trails but is afraid of the horses, so he was dragging really far behind at the beginning. 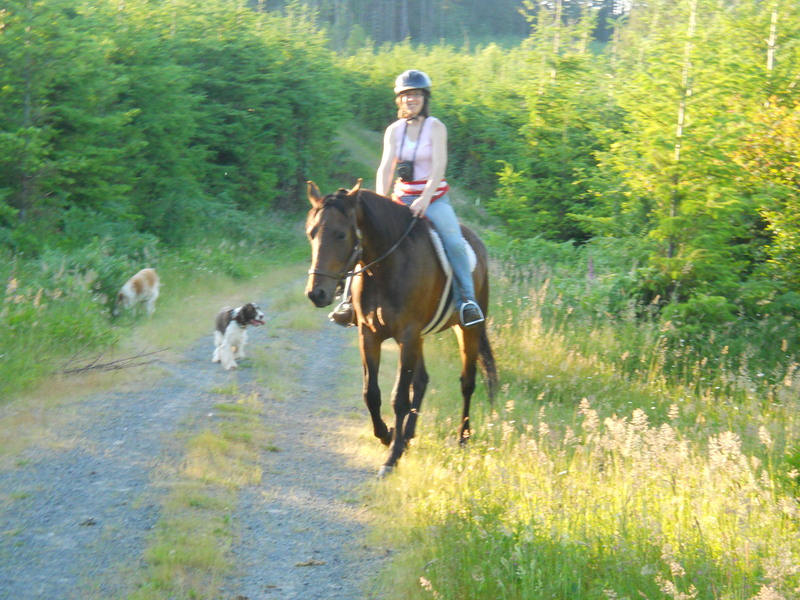 By the end he was right on our heels, though, and Chance didn’t mind that either. 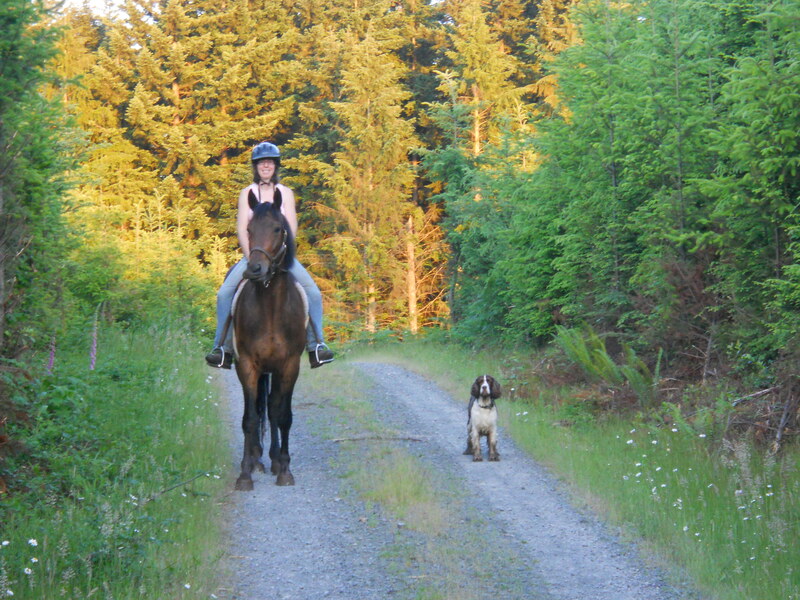 Being able to take my dog and my horse on a nice trail ride is something I’ve wanted forever, so I really feel like I’m living the dream right now. I am so happy with my boys, and also very thankful to have a friend who will haul us out to trails on these early adventures. 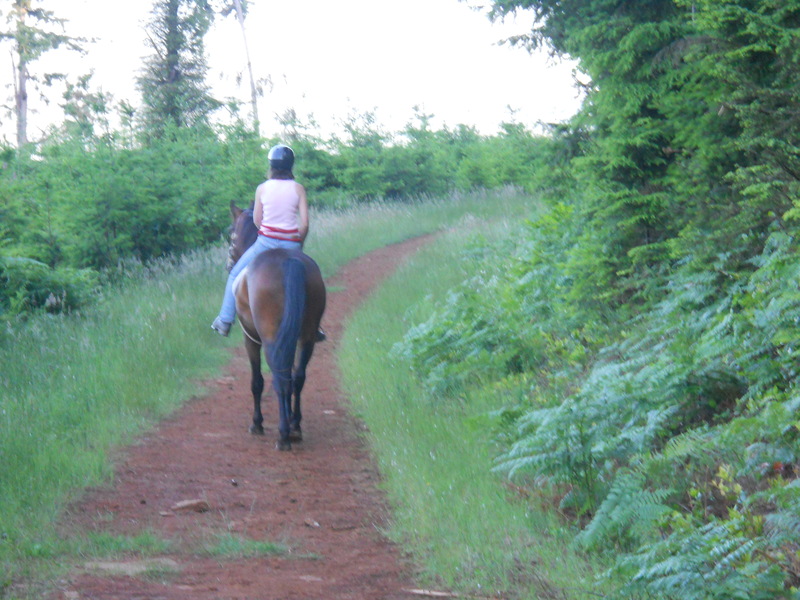 We rode until after sunset and were driving home in the dark. 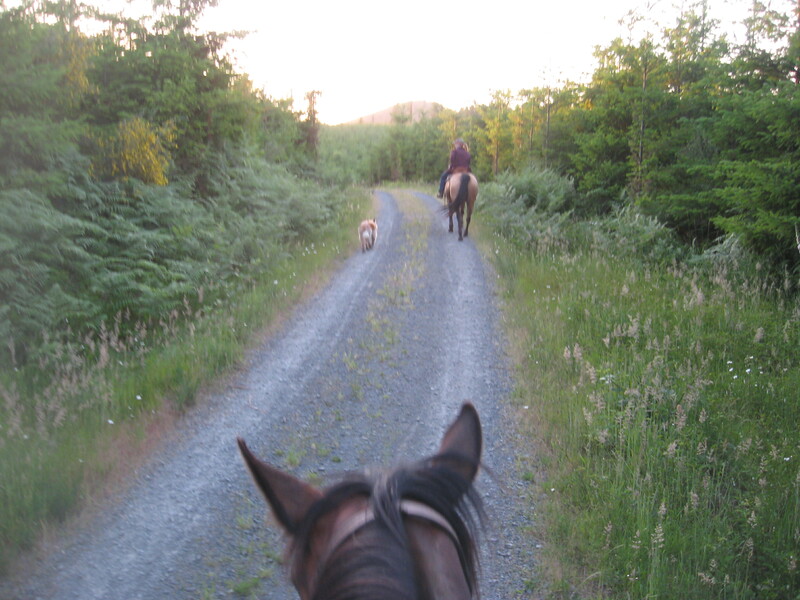 Luckily we were going really slowly because two loose horses ran out in the road right in front of us, and we had to stop truck and trailer in the middle of the road quite suddenly. 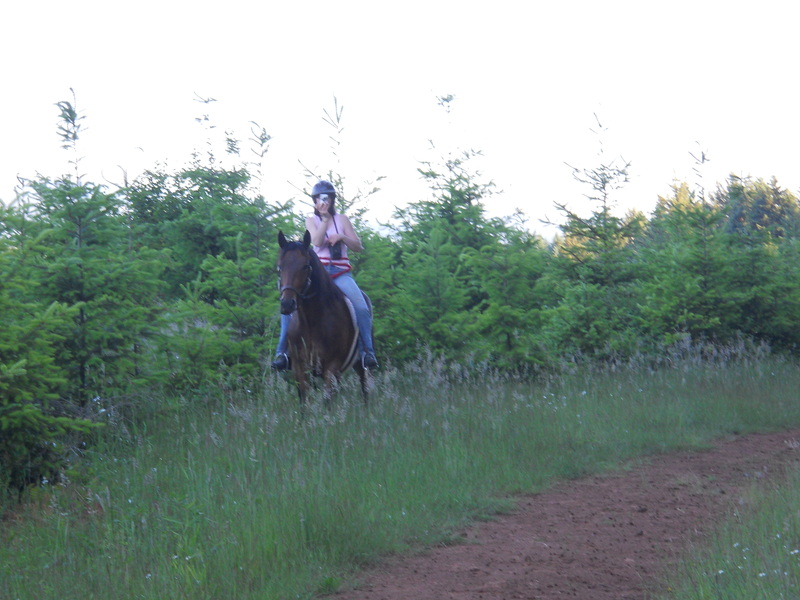 We stopped and were able to catch the horses easily (thankfully they were haltered) and had lead ropes with us. 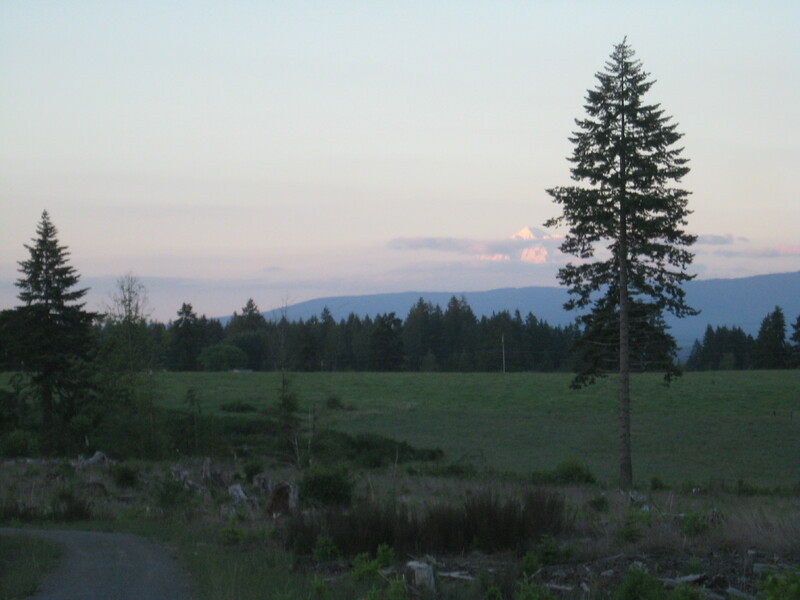 However, we were in the middle of nowhere with only one house in sight, and nobody was home at that house. 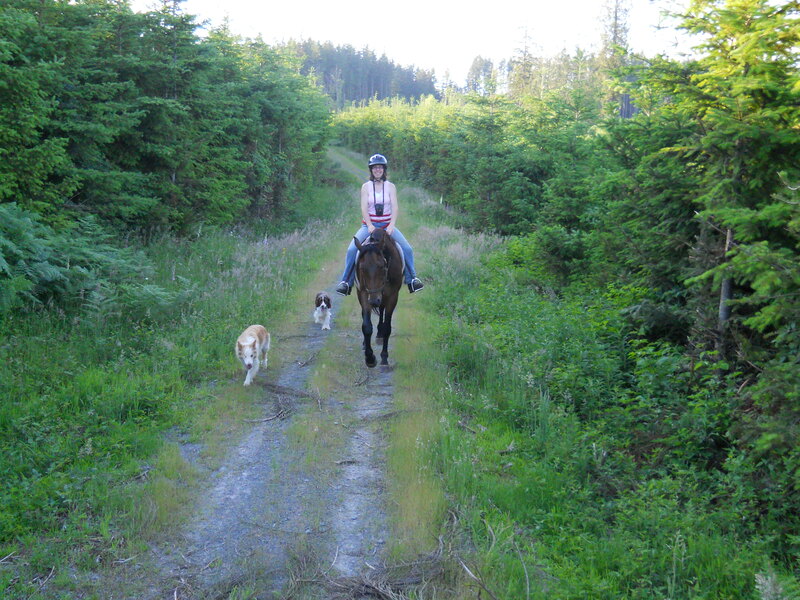 We couldn’t see any evidence of fenced pasture anywhere around, so we had nowhere to put these horses. We ended up calling the sheriff, and the poor thing who got the call (drew the short stick I believe) was a self-proclaimed city boy who asked if horses had tags like dogs and then asked if we already had horses in our trailer like he thought maybe we could just load them up and take them away somewhere. 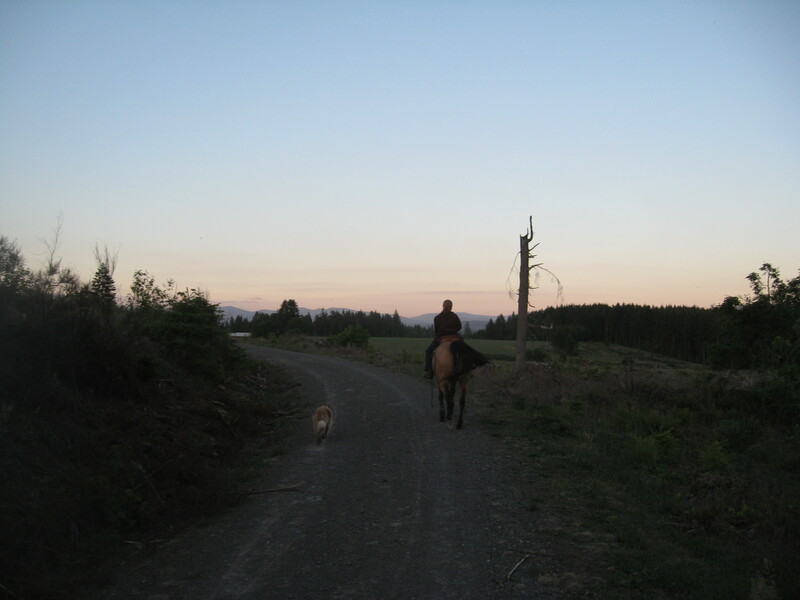 We ended up standing by the side of the road with the stray horses while the sheriff went door-to-door (by this time it was about 11 o’clock at night). 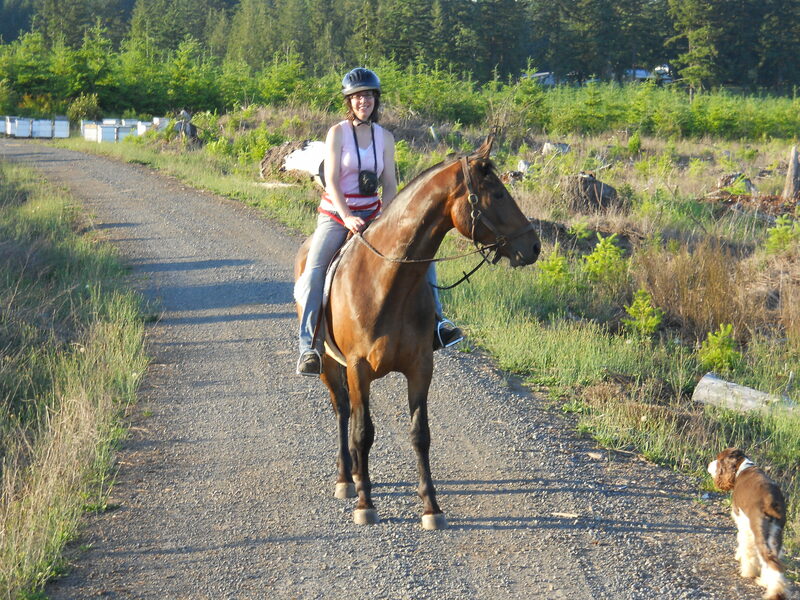 He did finally find the owners about a mile away after other neighbors pointed him in their direction – apparently their horses get out all the time. They came in a car to get them and didn’t even bring lead ropes – talk about bad owners! 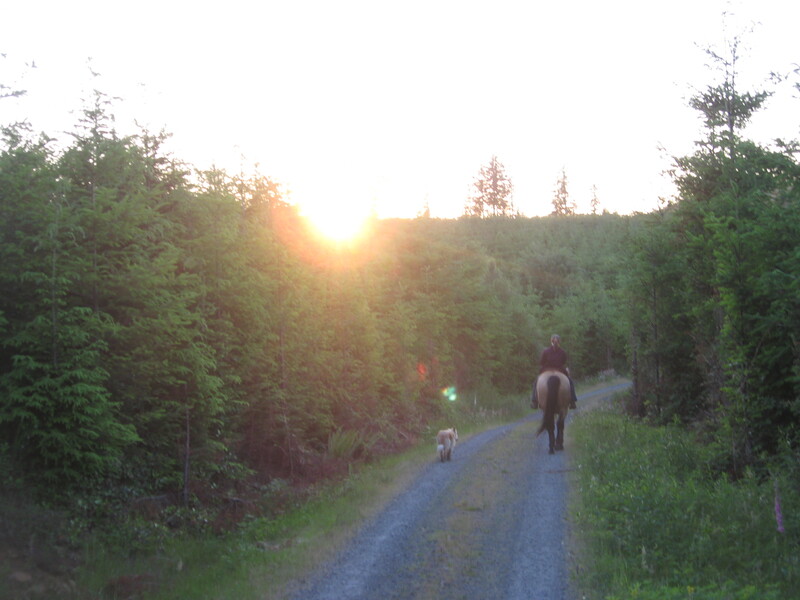 Anyway, the good part of this story (other than horses NOT getting hit by cars on a dark country road) is that Chance had to stand patiently in the trailer for over 2 hours, which was really great practice for him. I am thrilled to say he was totally patient, and there wasn’t any kicking or pawing or anything. 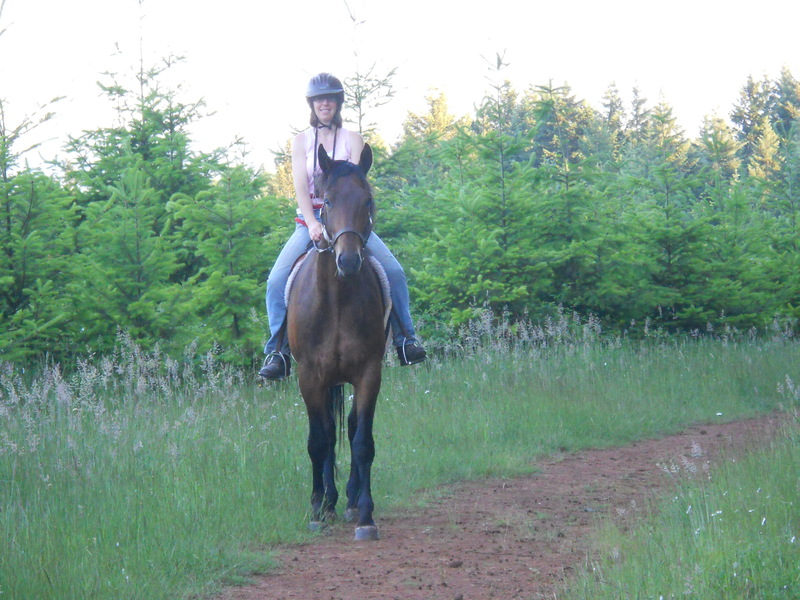 He’s really growing up and turning into the awesome horse we all knew he would be! Ok, here are the pictures finally! 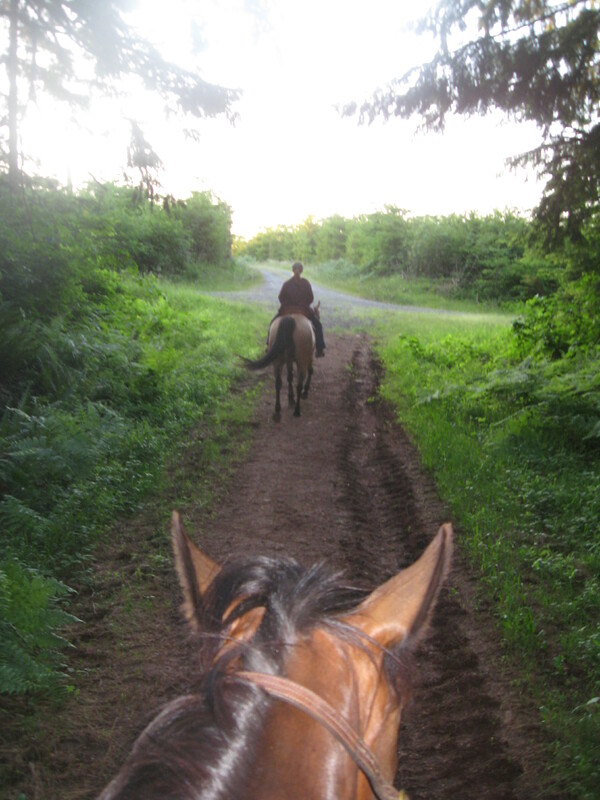 Pardon the blurry ones – these were all taken on horseback. 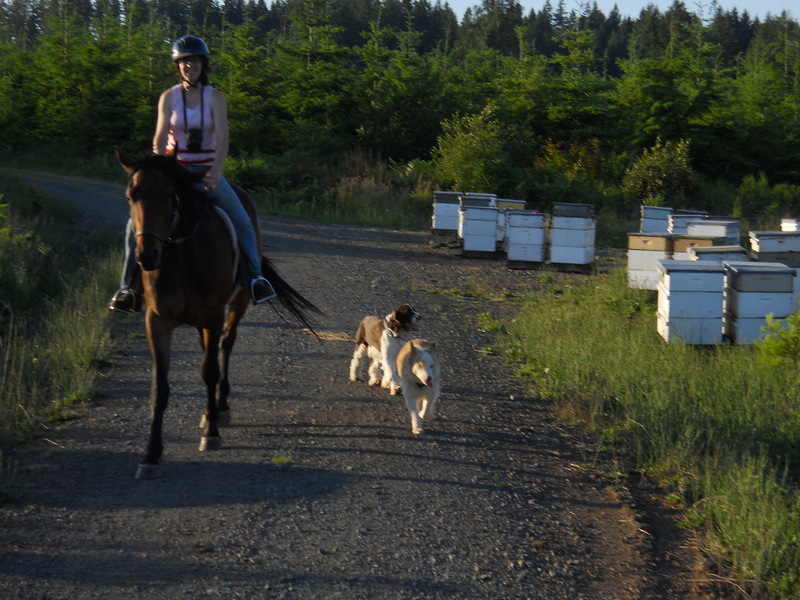 Note all the bee hives – Chance didn’t care a bit on the way out and only glanced twice on the way back in (but still no spook). Chance leads the way! 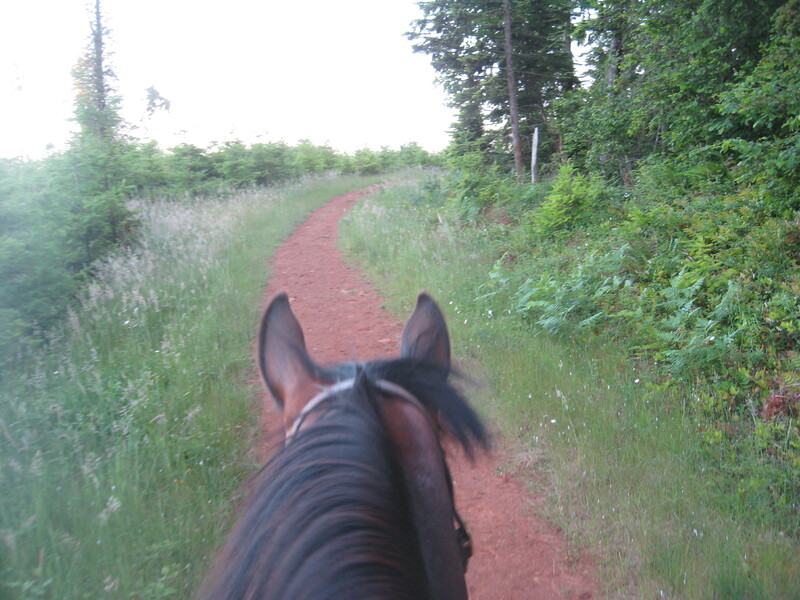 I took his lead rope with me (around my waist since I don’t have a nice saddle horn to hang it on) in case he or Billy gave me any trouble and I had to get off and walk them, but I didn’t need it at all. Here are the pictures I took – more of these are blurry, but oh well. Back out into the light. Chance is such a good listener, it’s hard to get pictures of him when his ears are perked forward. This entry was posted on July 3, 2011 at 8:40 am and is filed under Uncategorized. You can follow any responses to this entry through the RSS 2.0 feed. You can leave a response, or trackback from your own site.